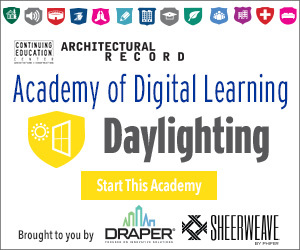 Identify the main health, energy, sustainability, and productivity advantages and disadvantages of controlled daylighting. Describe shading system options, including interior and exterior solutions, understand of how these solutions work in the field. Explain how custom shading systems can provide optimal solutions when off-the-shelf products aren’t sufficient, while maximizing the benefits of daylighting and still minimizing the hazards that come from too much light exposure. Discuss how shading systems provide energy-efficient solutions for occupants in addition to benefits for the environment. Building professionals increasingly recognize the benefits of natural daylighting to building occupants. Natural light is essential to the healthy functioning of our bodies, including the regulation of melatonin and hormones; people who don’t get enough natural light often have trouble sleeping. But windows provide more than natural light; they also connect building occupants to views of nature. Photos courtesy of Draper, Inc. Exterior Venetian blinds can provide excellent solar control, allowing in natural light when open and providing maximum heat and light reduction when closed. The European Solar Shading Organization (ES-SO) guidebook on solar shading claims that workers who are close to an exterior window report 20 to 25 percent fewer major health complaints, while absenteeism falls by 15 percent when access to windows and daylight is provided. A study conducted by the California Energy Commission found that office workers also perform 10 to 25 percent better on mental function and memory tests when provided with the best possible view. 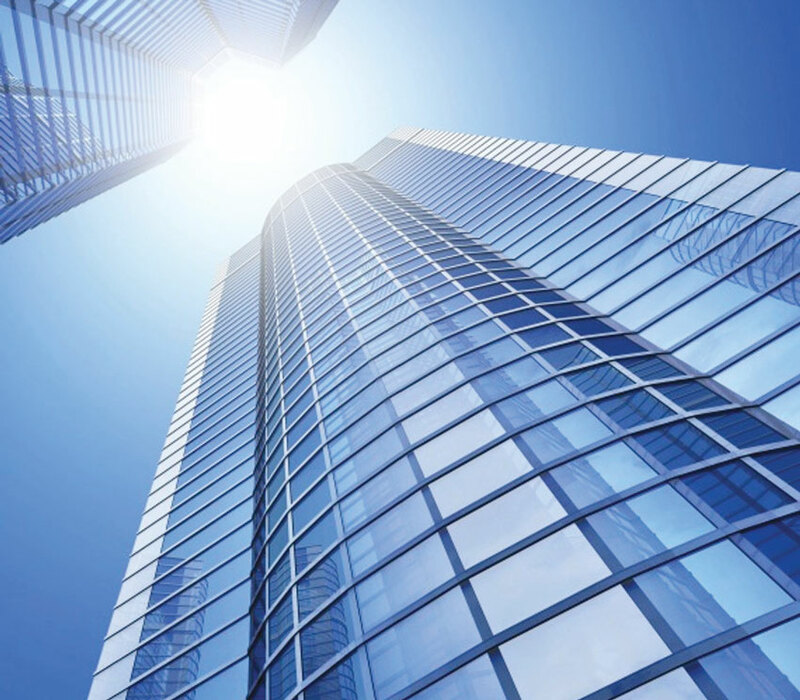 In 2004, Carnegie Mellon University’s Guidelines for High-Performance Buildings reported that maximizing daylight while reducing glare—along with adding responsive lighting controls—improves productivity by a median of 3.75 percent. Given that a productivity increase of 1 percent equals 0.8 percent of operating expenses, this study clearly shows that daylighting and daylighting control impact the bottom line. Natural light is also pleasing to the eye, and it creates dynamic patterns that enhance the aesthetics of building interiors. Glare from the sun can cause discomfort or disability glare for occupants. Aside from their benefits, windows in buildings can create glare. Direct sun in the eye can cause disability glare, interfering with the occupant’s ability to see and work. Discomfort glare occurs any time the background brightness exceeds the brightness of the task. Glare can cause eyestrain, headaches, fatigue, and tension, ultimately affecting productivity. A good rule of thumb for office environments is that the “bright-to-dark” ratio between the screen or work surface and the direct field of vision should not exceed 3:1; in other words, the work area should be no more than three times as bright as the area immediately surrounding it. The ratio between the screen or work surface and the indirect field of vision, or background, can be greater, but should not exceed 10:1. The use of interior or exterior shading systems can effectively control light through glazing and, together with the artificial lighting scheme, contribute toward achieving good visual comfort and productive working conditions. In addition to managing glare, it’s also necessary to consider solar heat gain—that is to say, the increase in temperature inside a building space from solar radiation. Solar heat gain is desirable during the heating season because it helps reduce energy demand from the heating system. But in summer, unwanted solar heat gain can increase the cooling energy load and create uncomfortable conditions for occupants. While good design can help prevent direct sunlight from penetrating the building during the summer months, window size and placement alone cannot stop unwanted heat gain. The goal of any building design should be to maximize the use and benefits of natural daylighting while addressing the problems of solar heat gain and glare. Although building orientation, window-to-wall ratios, window placement, and glazing performance are important considerations, shading systems are usually required to control heat gain and glare through the seasons. To optimize energy use, shading systems should ideally be automatically deployed and adjusted to respond to the exterior conditions, with supplementary artificial lighting only provided when required. Daylighting can create many benefits as well as challenges. While there isn’t a one-size-fits-all solution, modifications to existing shading systems, specialized solutions, and custom solutions can be implemented successfully to provide health and safety for occupants and well as energy efficiency.